Gourmet snacking for medium to large birds and humans of all sizes. A dry cage mix blended with Eclectus parrots in mind, with broad appeal to all parrots. Featuring Hemp, and buckwheat seeds with added fruit and vegetables, tails up while they enjoy every morsel. Do you still feed your birds seed? Add this to the seed mix for added nutrition, while switching them over to a more organic diet. 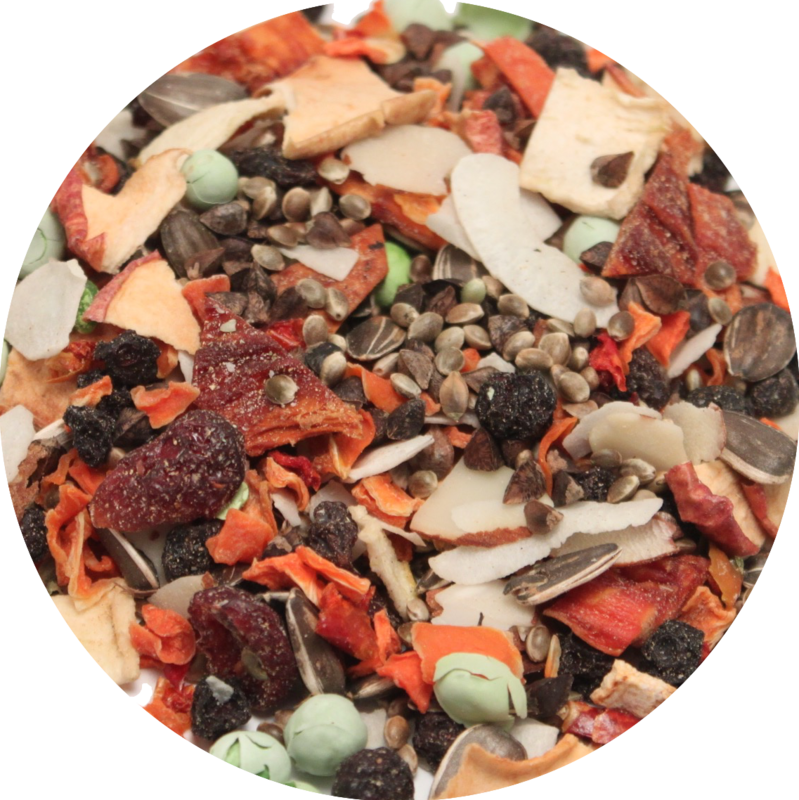 Hemp seed, buckwheat seed, sunflower seeds, carrots, pumpkin seeds, almonds, coconut, peas, apples, papaya, pear, currants, cranberries, red bell peppers, blueberries, dandelion and ginger.